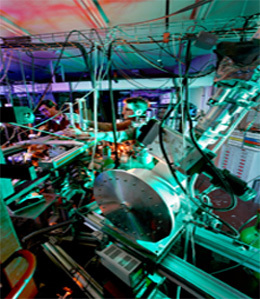 The international expertise of the team in the analysis and absolute measurements of the X-ray radiation is based on a deep knowledge on various types of X-ray spectrometers as well in term of efficiency that in response function (the shape of the lines, etc…). In particular, we have several semiconductor junctions (Si(Li), Ge… detectors) that we absolute calibrated via dedicated measurements. These detectors enable us to have a complete spectrum of X-ray emission during the ion-target interaction on a broad energy range, from less than 1 keV to several tens of keV.